Most probably, if you were in Jonatan’s position, you will also opt for a balance option: not many trips and not much weight per trip: It sounds optimal solution. Well, when it comes to CADENCE, the same applies. CADENCE means the number of steps per minute. Low cadence means less and longer steps, less steps has the advantage of less number of impacts, so the body suffer less; but to do a longer step it is required to go higher in the air (kind of parabolic movement), and therefore there is a waste energy brining the body up in the air, and also each impact coming down will be stronger and the body will suffer more and it can get injured. On the other hand, high cadence means too many steps, increasing the number of times the body hits the ground: that’s bad for the body; there will be no waste of energy taking the body up, but there will be a waste of energy moving the legs back and forth, swinging the arms and twisting the body too many times. So, a balance is required, like in the case of Jonatan. The MAGIC CADENCE is 180. It is the most accepted number and the one we will refer here. If you run close to this number you will be saving energy and reducing the risk of injuries related to impacting the ground. So… it is worthwhile to train for it !! Fisrt, you have to measure your cadence: to know where you are. And then, do the effort to adjust. Some people are in the higher side, some other in the lower side; they have to work in the opposite direction, but the approach is the same: to change the length of the strides. People with High Cadence (this is my case) have to increase the length of their steps; people with Low Cadence have to reduce the length, staying closer to the ground and taking shorter steps. a) Basic way: count steps controlling the time with a watch. 180 cadence means 90 steps with each leg, you can count for one minute or… 90 steps in a minute means 30 steps in 20 sec. You can count steps for 20 seconds, and them multiply by 3 and then by 2 to get your cadence. This has the inconvenience that looking to the watch can alter your running, and be very uncomfortable. And alternative, since we are targeting 180, is to count 30 steps and check the time: try to get them in 20 sec. b) Metronome. You can go to a music shop and by one small metronome (I so one in amazon for 600 rupees), it is a device which gives you a “beep” at the frequency you set it. You have to set it in “180” and there you go!! You will have to step your foot every beep. You can also set it in 90 and use it for one of the legs “every beep my left leg has to hit the ground”. Looks difficult? Well, it is the simplest thing in the world. The beep will get into our ears and into our brain… and our legs will automatically synchronize with it. This will help you working on your cadence, but will not measure it. To measure your cadence you will need a Pedometer (300 rupees in Amazon), this device counts your steps so you can do the calculations. c) App for the phone. Many runners use some Apps for tracking the runs, so it is easier to get an App for the phone. I have used several times “Metronome Beats” (see photo). The best configuration for me is the 180 beats and “2 beats per bar”: this makes alternative sounds every two beeps, kind of “pi po pi po pipo…” so is perfect for “left-right” feet. Again, this is good to work on your cadence, but it is not giving you the measurement, for that you need also a Pedometer. There are also Pedometer Apps, but I don’t have much experience with them. d) Running watch. Many of the modern running watch not only have GPS, bat also come with pedometer and metronome incorporated. So, in one device you have everything. This is the case of the Garmin Forerunner 920XT, which is the one I’m using. For every run it gives you the measurements: the Cadence of every km as well as the average cadence. It also has metronome, so it is possible to get the beeps while running. It is the best option to get all the data without doing any mental calculations; you can analysis it later after the work outs. The best solution I would say, as long as your budget allows it. However, when you use a metronome to control and work on your cadence, you have to put the effort to understand and remember the movements of your body: the swing of your legs and arms, the breathing (yes, it also gets syncro with the steps)… so that you can replicate it when you are running without it and accelerate the improvement. If you don’t put that effort, the moment the metronome is off, your body will tend to go back to the previous cadence and it will take longer to make the 180 the natural cadence. Well, if it has been said that 180 is the optimal…. that means…. 180 is the optimal… ALWAYS !!! The cadence does not change, it does not matter whether the pace if 5:00 or 8:00. What has to change is not the number of steps per minute but the length of the steps. Let’s do a couple of numbers: if your strides are of 1 meter and your cadence is 180, then you are covering 180 meters in 1 minute; if you make your stride longer, like 1.2 and the cadence is 180, then you are covering 216 meters in 1 minute: you are going faster !!! The most common case among runners, we can say the “natural tendency”, is to keep the stride length constant and increase/decrease the cadence when we want to increase/decrease the speed. So, to adjust the length of the stride and keep the cadence it doesn’t come natural and therefore it required training and training. This can sound too complicated… but don’t worry, let’s be practical: you don’t need to be a “master and commander” of the 180, keeping itevery second you are running. 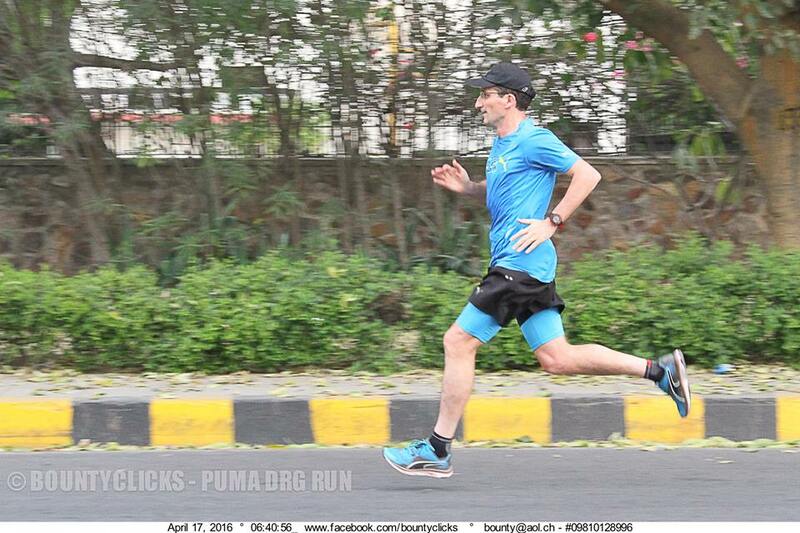 What you have to target is to be there at your target pace for your race.For example, if your target is to do a full marathon in 4 hours, then your target pace is 5:40; you have to work on having a cadence of 180 at pace 5:40, so it is fine if it is 175 when you are doing your long runs at 6:15, and to get 190 when you are doing your intervals at 5:00. How to change the length of the strides? “To go faster means to reach earlier a certain place”, right? We all can agree on this… and in fact our body seems to have this engraved somewhere… and when we want to run fast it tends to “launch” the legs forward to reach earlier the next meter… you can see this effect in many photos at the finishing stretch of a race, where runners are sprinting and have their legs fully stretched out and… doing a terrible and dangerous heel landing !!! No, no ! !When we want to lengthen our stride we have to do it at the back not at the front. We have to open the angle of our legs, not by trying to reach further with the leg that is at the front, but by trying to reach further back with the leg that is at the back. Try to stand still in the air, keeping your leg back there for a fraction of a second before bringing it to the front. It may sound strange, odd, weird… but it works !!! At least, it works for me. I am one of those who have the problem of “high cadence”, very easy I get into the 190’s if I don’t put the effort, and I have to focus a bit, to bring down the pace. The photo below shows the data of one of the latest work outs from my Garmin. It can be seen that the first km’s, the warm up area, the pace is 5:30 and the cadence is in the higher side. Then, I bring it down, but the moment I speed up a bit the cadence goes up: see km 7 and 8. However, there was one km, the 12th, when I said… “ok, let’s go faster but by lengthening the stride so as to keep the cadence low…” YOU CAN SEE THE EFFECT!! Then, I came back to slower pace, got a bit distracted… and the cadence went again back to “normal”. Anyway, my “race-pace” is lower than 5:00, so it is fine. I still have to work to be done in this front. And I suggest you also try it, all the studies say the same: the right cadence will reduce the risk of injury and improve the energy economy of your running. Warmly known as Alfie by runners in the NCR Region, he is a mentor and a guide, par excellence, to many fledgling and mature runners. A super marathoner himself, he helps runners with their running plans for various events and most important always keeps their morale high up! He is reachable at mailto:alfredo.miranda@gmail.com. Announcing Race Timings : Demotivating or Motivating My Run-Mates? Dear Alfredo , wellthy fit . Running is 85% reflexive and rest is the effort . Much is talked about energy conservation and impact load for which evidences are still lacking . As too much of back and forth swing phase is totally reflexive . Length of stride is always pace dependent . Most importantly it’s your tibial bone length which decides it . How to change length of the strides ? It depends on your hip extension which in turn is gluteus medius muscle strength . Stride length is never cadence dependant truly but a pace and leg length is the key . too much of back and forth swing phase is totally reflexive . It depends on your hip extension which in turn is gluteus medius muscle strength dependant . GLUTES are the neglected muscles often in runners . Good ole Alfie, gets gooder and gooder with age! Loved the blog right to the very last drop. Alfie is our true scientific runner and coach. Keep them coming! This is such an informative article. Brilliantly written and easy to apply. Thanks To the Pro.